Situated in the Bang Lamung district of Thailand, Amari Residences Pattaya is only a 10 minute drive away from the popular Mike Shopping Mall. Holidaymakers can access the property in around 50 minutes drive from U Tapao Rayong Pattaya International Airport. Showcasing elegant decor and furnishings, the hotels 173 rooms and suites feature floor to ceiling windows and premium curtains. 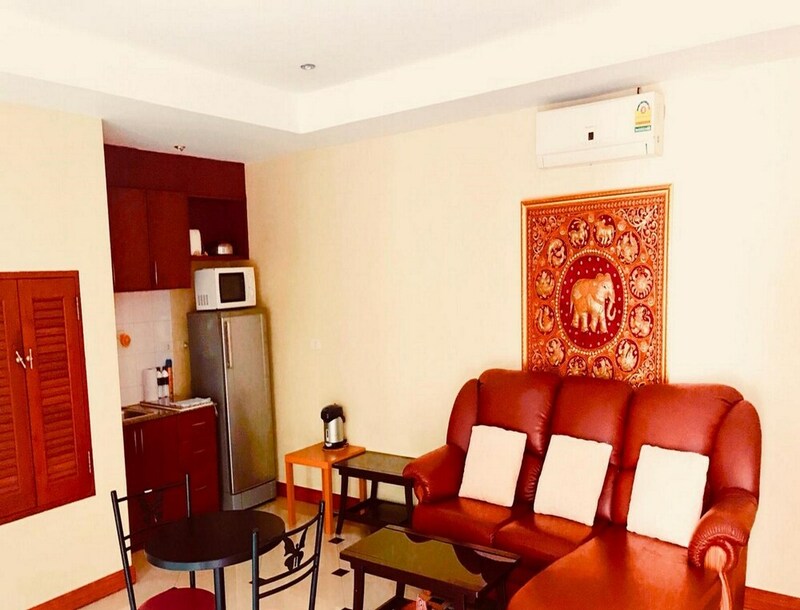 To ensure a pleasant stay for guests, all air conditioned rooms include LCD TV, telephone, work desk, tea and coffee maker, mini bar, personal safe, DVD player (on request), iron and free Wi-Fi access. Stylish bathrooms have hot showers, hairdryers and complimentary toiletries. 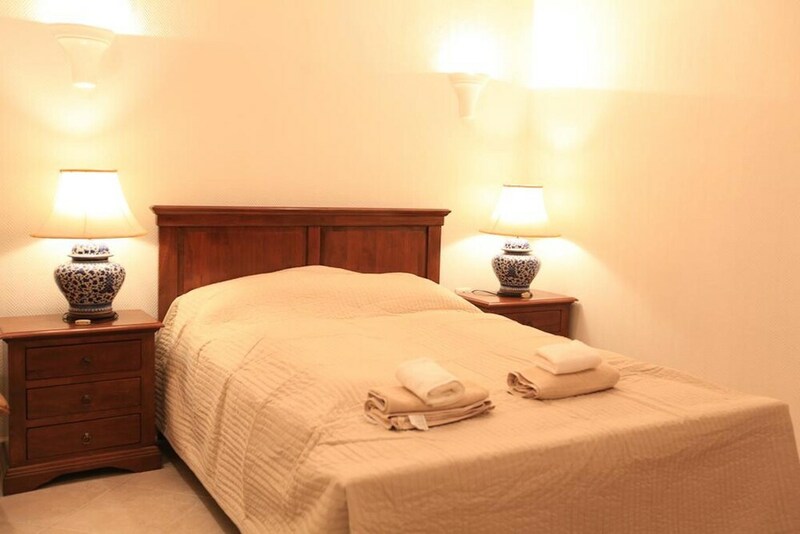 Select rooms also come with a private balcony and fully equipped kitchen. Guests can relax or swim a few laps in the cool waters of the outdoor pool and make use of modern fitness facilities available at the hotel. Complimentary facilities on offer include parking, area shuttle and Wi-Fi access. Moreover, conveniences like 24 hour front desk, airport transfers, safety deposit box, dry cleaning and laundry and tour assistance make for a hassle free stay. Begin the day with a healthy breakfast offered at the on site Brasserie. Guests can also enjoy delicious sandwiches and refreshing drinks at the hotels Aroma Deli Restaurant. After meals, relax over a glass of cocktail, beer or wine at the in house Pool Bar. For a hearty Indian meal, head to Madras Darbar Restaurant, only 10 minutes drive away. Home to more than 4000 marine animals, the well known Underwater World Pattaya is accessible in 10 minutes drive from the hotel. Can use an extra bed per night for THB 1200. 32 story building, having good view from each room. Little away from the main street. No in-house spa. Great place to stay, nice ocean view. Fabulous, fantastic, revisit, organised, well behaved, friendly, lovable. Very good hotel decent place not so far from walking street. We got an upgraded suite as a gesture for our wedding anniversary. Room was very good. Only issue is that it does not have options for vegetarian indian tourists staying in hotel. Great experience staying such a nice place with an excellent pool. The staff was extremely co operative and in fact upgraded me to a suite. Mr. Peter pan the manager was very helpful and addressed, advised in every way. It was a great experience. Breakfast was awesome, pool is best place to be. Everything is excellent. We are very comfortable will give five star rating. And breakfast is good. Staff is nice and cooperative. Happy staying overall excellent. Had booked through MakeMyTrip and got a good deal, ambiance is good. Rooms are big, clean and ocean view is beautiful. Service is prompt. Staff is very polite and helpful. Cons it's a little away from the Beach and walking street. Thought the hotel has shuttle service, its after every 4 or 5 hours and have to make prior booking. This makes it difficult to travel to walking street as its difficult to get a cab. Breakfast was more of Thai variety. A good hotel for couples and families both. Overall the stay was good. Everything is fantastic except location. Very hospitable. Perfect place to stay with beautiful views of the ocean. Location is far from city center and you land up spending a lot on cabs to go up and down. It was OK, not as good as I thought. There was no hot water in the bathroom in spite of complaining everyday. The hotel has a nice swimming pool and is located at a quite location. The hotel has very limited vegetarian food options and hence people who prefer vegetarian food should be particular before choosing to stay here. The hotel is in a hilly terrain and hence away from the central pattaya. The hotel however runs free shuttle services which requires pre- reservation. The taxi are generally available for one way trip to central Pattaya. All good except location, hotel should provide shuttle service to main area as this hotel is on the hill.
" 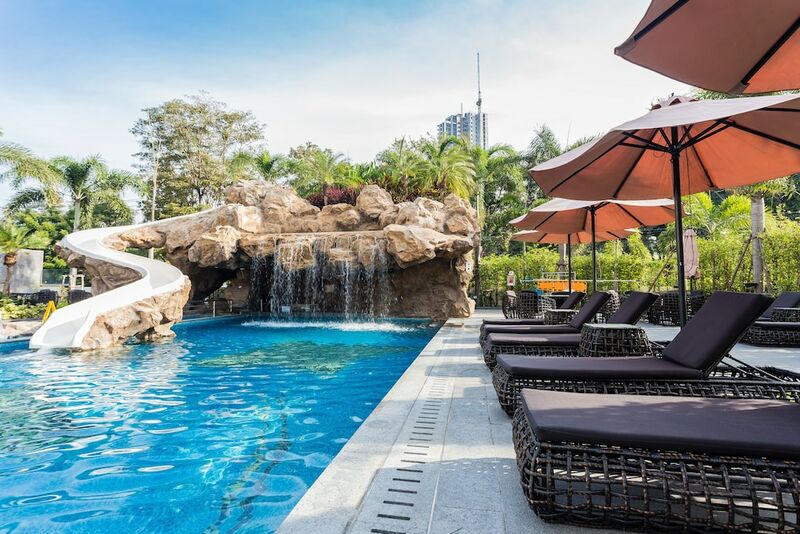 Neo Hotel Pattaya, situated on Jomtien Beach Road, is roughly 45 minutes drive from Utapao-Rayong-Pataya International Airport. It's a fabulous Amari Residences Pattaya specially for family people. Superb lobby with heartily welcome on arrival. 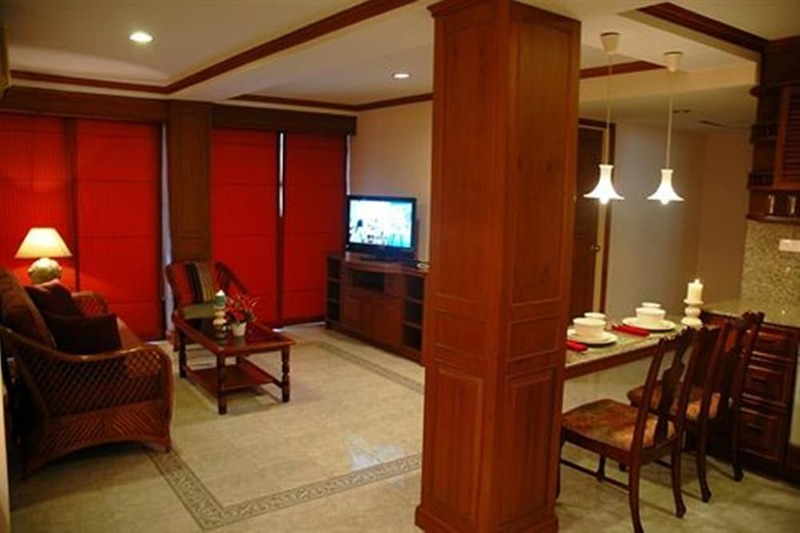 Superb rooms with kitchenette facility with sofa and dining table in the lobby. We may say a one BHK flat with all the facilities like tea coffee maker, microwave, fridge etc. Superb pool with water slide is an special attraction for kids. Gym is highly equipped. Breakfast has very few items for vegetarian. Should increase the items like aloo bhaji or paratha or poha etc in breakfast. They don't serve lunch or dinner in restaurant. Only room service is available. You have to go and take away from outside restaurant which is 3 km far away. My room no 606 electronic lock got damaged but in the morning I was given another room 906. Overall it's a lovely stay at a very good price. Thanks to makemytrip for so good deal. Stayed with family on 11. 5. 2017 for 5 days. 1) I have a mixed opinion about the location of these Amari Residences Pattaya... Depending upon what are you looking for... It's around 1. 3 km from the main market place... But it's really near to big buddha, Pattaya view point and the ferry which take you to the coral island. 2) you can hire bike from the Amari Residences Pattaya... It makes travelling very convenient.. 3) food quality is good but no halal food.. 4) room are neat and clean... But nothing extraordinary.. 5) staff is very good and helpful... 6) not much dinning option available for Indian in Amari Residences Pattaya and around Amari Residences Pattaya nearest good Indian restaurant is around 1. 3 km away.. 7) Amari Residences Pattaya has very quite and peaceful location good for relaxation.. 8) has a very nice swimming pool with slide which makes it more fun for children..
Our stay has been fantastic with Amari. I found the Amari Residences Pattaya to be bit interior but I did not face any issues as there are lot of stores in stones throw away distance. Though the breakfast spread was huge, it had a less Indian dishes. The rooms are spacious with good sea view and there are whole lot of amenities inside the room. House keeping acts swift and so is the front office. Though the Amari Residences Pattaya is little interior, I did not find any problem as they arrange tuk tuk's at any time. Overall it was a wonderful experience staying in Amari Residences. It's a nice place for the family tourists. Thanks to the receptionist who gave us a complimentary upgrade to the kitchen suite. She was very helpful. She also helped us resolving a issue in the sightseeing. The breakfast spread is also good. Overall, for those with families and want to be bit away from the main tourists hub, it's a good choice. Only minus point is there no any restaurant near by. Else all is well. Everything was fine. It's located in a residential area. Bit away from the noisy and touristy places. But good location for guests with kids and family. I couldn't have asked for more; My most loved holiday so far, and Amari made it even more memorable. Happy that I picked South Pattaya, what a place to be, so clean, serene, and away from hustle and bustle of central and north. Nestled on the 10th floor, which amari very kindly accommodated us. Had the most picturesque view, day and night, not even once I drew my curtains. Also, only 2 kms from Jomtien beach, yet another great location to unwind yourself. Of course, central and north can also be reached in 5 mins by scooty. Totally in love with it. It was a nice stay. Hotel staff was very good and polite. I booked one bedroom ocean suite and room was very good with all facilities. Guest entry is free. One minus point far from walking street. But can hire a bike taxi for 50 baht per person 24 hours available. It took 5-10 min from Amari Residences Pattaya to walking street. Perfect place for family stay. You need to deposit 3000 baht per room which is fully refundable at the time of check-out. I also get early check-in free of cost. Overall its a value for money. We are very satisfied with this Amari Residences Pattaya. Every thing was up to the mark be it food, well maintained and clean room, or the service support by the Amari Residences Pattaya staff. A bit away form the beach but that not the problem at all if every thing else is just right. 10 out of 10 for this Amari Residences Pattaya. The ambience, services, facilities, outside view, pool, bar everything was excellent. It is not walkable distance to Walking street, but you will have Amari Residences Pattaya shuttles till 9pm and also find bike taxi right outside the Amari Residences Pattaya. I would totally recommend it. Hotel is very good but its market is almost 4 kilometers along. Only uber cab available. That is charge 100 -120 baht for one side. If you travel with more than 3-4 member then it's fine otherwise you travel so many expensive for uber cab or other vehicle. Nice Amari Residences Pattaya. Clean and big room. Value for money. Staff is good. Breakfast is good. Location is little far from the walking street. Bikes are available nearby for local travel. Stay was enjoyable. Sea view was not there from our room. This is my fourth stay. I love to stay here because of friendly staff and nice rooms although it's quite far away from the main attractions and is very difficult to get taxi from the Amari Residences Pattaya. Breakfast, rooms services etc are good. Stay was good and worth the money we paid. No Tea, coffee replenishment was provided. Prices are nominal. The Amari Residences Pattaya services are exceptional. Loved the size of the room. It was neat and clean. View from the room is very good. Room is excellent. Behavior of staffs excellent and helpful. Only one thing is lacking that is good and an food in buffet breakfast. Good stay at the Amari Residences Pattaya. Was very clean and enjoyable with in room amenities. It was again amazing trip, everything was well planned... Clean room.. Hotel service was good. Hotel breakfast was very good.. Got very good price from Makemytrip value for money. Great experience would sure come back to Amari property. Hotel is very good, breakfast good. Good food but Amari Residences Pattaya so far from city. Good Amari Residences Pattaya, friendly staff, I want stay again. It is a great experience to stay here. One time by mistake some Amari Residences Pattaya boy knock my door and for this management send me apologise card with a plate of fruits. That is a surprise element. Overall stay here is a good experience. Room is awesome and have all facilities. Excellent Amari Residences Pattaya recommend for all. Some of local guys not preferred to Travel in night. Excellent rooms and staff had updated my room in same booking with king size with ocean view. Good Amari Residences Pattaya, very good food, although quite far from the center, but has frequent shuttle service. Nice stay. Would definitely recommend everyone to stay. Room size big, all amenities are 5 star, feels difference immediately when entered, beautiful look of ocean and city from room, bed very comfortable, Bathroom excellent. Staff excellent. Swimming pool good, overall feels like stay at heaven. Wonderful experience and good food. View was good and amenities, but there was no soap. AC leakage was there.. But other than that it was a very good stay.. They should have checked the rooms before the guest checks in... Also it is far from the happening placed there.. But the Amari Residences Pattaya is good from what it shows..